“I want nothing for myself,” said Watchman Nee, “I want everything for the Lord.” These words summed up the life of one of the most important Chinese church leaders, evangelists, writers, and martyrs of the last century. Nee’s grandfather was a Congregational minister. His mother had been brought up Methodist. He received a Western education in missionary schools and was converted by the powerful preaching of evangelist Dora Yo. Although he was grateful to the missionaries for bringing the gospel to China, Nee was also critical of them and of the state of the Chinese church. He spoke against the church’s superficiality and the inability of some ministers to lead their converts on to spiritual maturity. Nee formed an independent Christian assembly in Fuzhou in 1922. It practiced believer’s baptism and a weekly Lord’s Supper, and was governed by elders rather than by a single pastor. Nee believed from his reading of the Book of Acts that such an assembly should be the only church in a particular locality. In 1928, he moved his base from Fuzhou to Shanghai, where outsiders nicknamed his group the “Little Flock Church.’ His followers formed new evangelistic groups, launching a nationwide movement. The revival sparked by the Little Flock helped rouse the denominational churches from their complacency and energize them to meet the deeper spiritual needs of the people. Nee emphasized “the priesthood of all believers” and urged the Chinese churches to train their own leadership, develop their own forms of ministry, stop being dependent on foreign financial support, and spread the gospel. These principles prepared Chinese Christians for the terrible conditions they would face under Communism. By 1950, the Little Flock had 70,000 members in 700 assemblies. Nee became an eloquent, widely-known evangelist and writer who had a gift for calling people to a deeper spiritual life. He believed that a human being is composed of a body, a soul (intellect and emotions), and a spirit (which communes with God), and his teaching stressed the need for spiritual regeneration and sanctification in order to understand Scripture rightly and live in step with the Holy Spirit. His sermons and books—the best known of which is The Normal Christian Life—continue to be republished in a number of languages and are read all over the world. In 1956, Nee was publicly tried, condemned as the head of a “counter-revolutionary clique,” and sentenced to 15 years in prison. He died in May 1972 at a labor camp in the Anhui province. 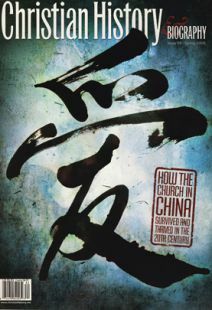 Today, the Little Flock is the largest Christian group in China and has an international following.